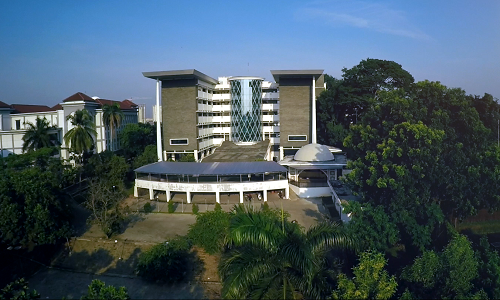 Rectorate, UIN NEWS Online -The recruitment process of Non-Permanent Employees (PTT) Financial Administration of UIN Jakarta recently have completed the stages of written test and interview. From 46 people who passed the file selection and took the written test on May 23, 2017 and the interview test on May 24, 2017, finally filtered 13 applicants and declared eligible to take the next test which is Psycho-test at the Psychology Service Center Building (PLP) On Jl. Kertamukti, No. 5, Cirendeu, Ciputat, South Tangerang on June 2, 2017 At 07.00 WIB. 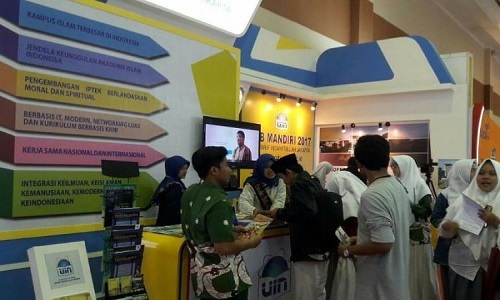 Thus was conveyed by the Head of Ortala, Personnel and Legislation, General Administration and Personnel Bureau (AUK), Suhendro Tri Anggono SAg MSi, to UIN NEWS on Monday (31/05) in his office. Hendro added that all participants who successfully passed the written test and interview will undergo Psychology-test at Psychology Service Center (PLP) UIN Jakarta. It is hoped that this test can map the potential and ability of the prospective employee in order to fill up the right position. 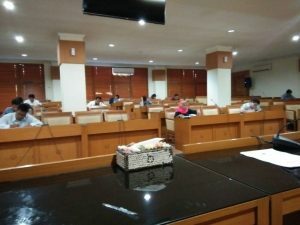 “Psychology-test is done by Psychology Service Center with the aim to ensure the neutrality of the assessment results of these PTT Financial Administration staffs”, he said.